Details about Petro-Canada™ Car Wash Card – Includes 3 SuperWorks™ Washes! 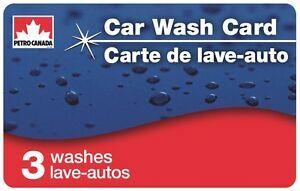 Petro-Canada™ Car Wash Card – Includes 3 SuperWorks™ Washes! Is as seen in ad. Got to me fast.